Click "Read more..." to expand menu with the tracklist. Download link no longer available. Sorry. Pity about the sound quality, many of great deep house tunes in this mix. Lush deep house vibes by JP Phillippe of The Disclosure Project. Huge mix! This track around 50min is excellent! EDIT: find out the name of the mentioned track: it's Wagon Cookin feat. Gabriela Smith - Playground! Big Big! 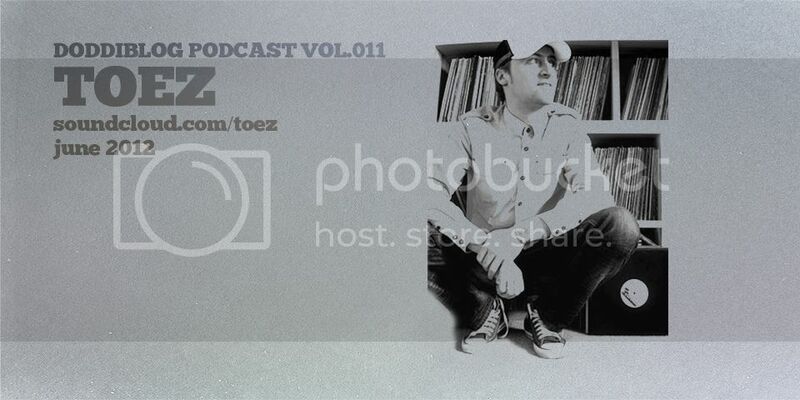 For some of you the man behind the new episode of doddiblog podcast - Toez - is better known for his dnb production on "Soul Searchers" release for Texture Music Group which is full of atmospheric dnb sounds. I am glad he decide for deep house mix as the last 5 shows were dnb mixes. And he managed perfectly with this task and delivered proper first class deep house mix. Enjoy!